Turkish Café & Lounge presents Rhythm & Romance Night on Saturday 03-31-2018. 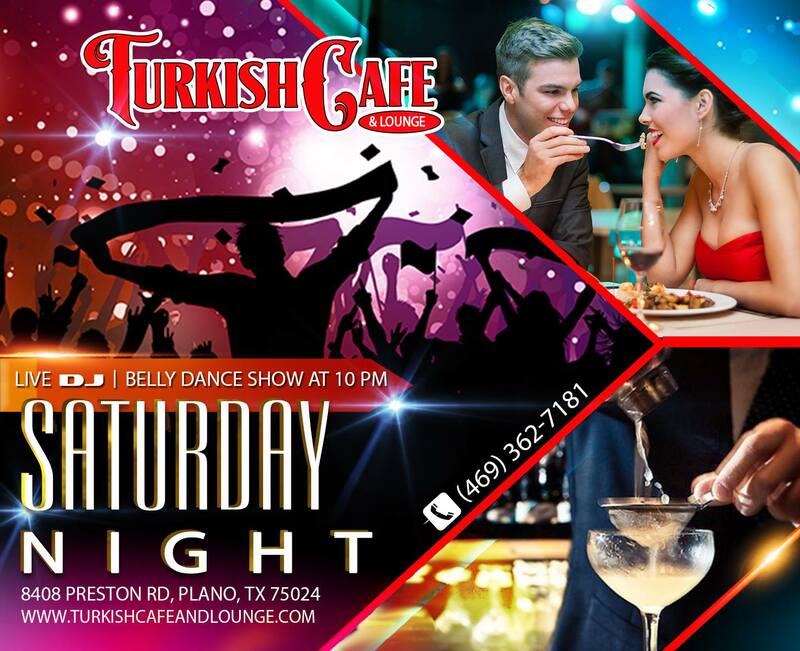 The program starts at 10 pm with music entertainment by DJ Neema and a belly dance show by Carly. Reservations are recommended. Call us at 469-362-7181 to choose the best option. Indoor Dining Room – Full Menu available a la carte. No Cover Charge. Join us with your family and friends for an unforgettable experience!